Sela Blanton’s law practice covers a range of areas, including general civil and business litigation; probate, estate and trust litigation; environmental law; toxic torts; class actions; products liability; partnership and business dissolution; non-competes and restrictive covenants; and insurance and business transactions. 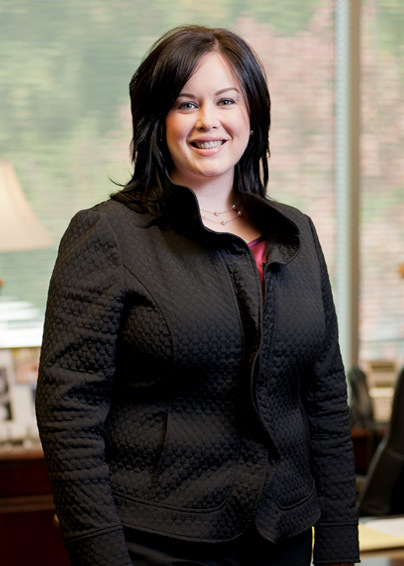 In addition, she serves as Managing Partner at Bainbridge, Mims, Rogers & Smith. In that role, she provides leadership with regard to all business aspects of the firm, oversees day-to-day management, supervises operational and administrative functions, and provides guidance in terms of client and community relations. A native of Birmingham, Ms. Blanton received a B.S. degree from Auburn University before earning her Juris Doctor from the University of Alabama School of Law, where she served on the Managing Board of the Alabama Law Review. She is the author of “Non-Compete Agreements: Weighing the Interests of Profession and Firm,” 53 Ala. L. Rev. 1023 (2002), and “Director and Officer Liability to Non-Shareholders,” The Alabama Lawyer, Vol. 64, No. 6 (2003). Ms. Blanton has played an active role in the Birmingham Bar Association, having served on both the Scholarship and Grievance Committees. She serves on the Executive Committee of the Environmental Law Section of the Alabama State Bar, has been included on the Alabama Super Lawyers® list for several years, and was a member of Class 8 of the Alabama State Bar Leadership Forum. Ms. Blanton is rated AV Preeminent® by Martindale-Hubbell®. Also engaged in the community outside of work, Ms. Blanton is a member of Vestavia Hills United Methodist Church, serves on the Vestavia Day School Advisory Board and is involved with Restoration Academy, the YWCA of Central Alabama, and World Vision. Her personal time is spent with her husband Bryan, their son Evan, and their two English springer spaniels.